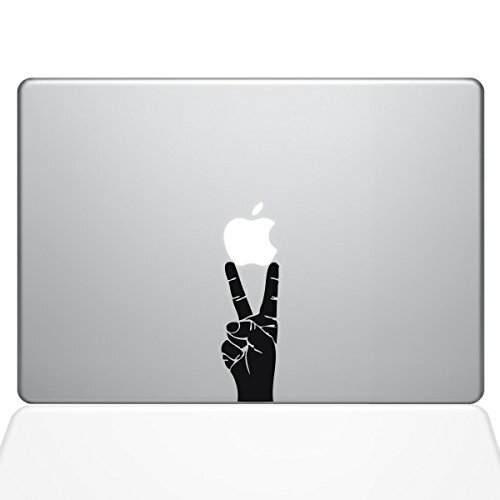 This Peace Sign Hand MacBook Decal will make any MacBook look awesome. It is sized specifically to the MacBook version you choose but can be applied to any laptop or other smooth flat surface. This decal is easy to apply but also comes with simple application instructions. You can also check out our website for application videos. There are 13 colors to choose from and they all come in a matte finish that makes it look like the design is part of the laptop once it is fully applied. We are the number 1 MacBook decal seller on the web so check out all our other awesome designs as well.